This is an exquisite necklace from the eShe jewellery range by Newbridge. 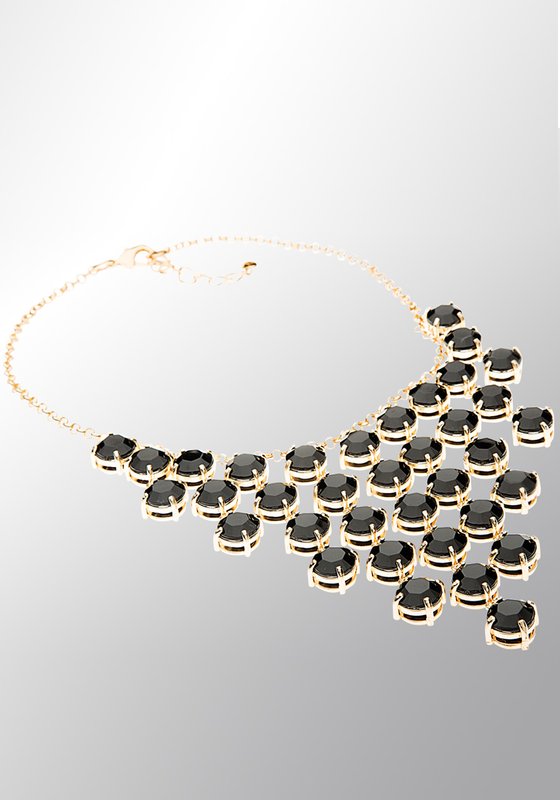 A gold plated chain with black resin stone setting. The stones hang at different lengths. A beautiful piece of jewellery that will match lots of different outfits.